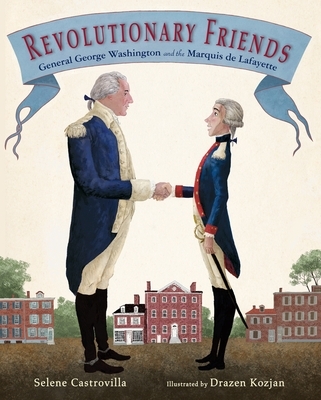 Selene Castrovilla has written about the American Revolution before in By the Sword and Upon Secrecy, both published by Calkins Creek. By the Sword was named an IRA Notable Book and a Moonbeam Children's Book Award Gold Medalist for Nonfiction. Upon Secrecy was named a Bank Street College of Education Best Children's Book of the Year. Ms. Castrovilla lives on Long Island with her two sons. You can read more about her at selenecastrovilla.com. Drazen Kozjan traveled to the site of the Battle of Brandywine and Philadelphia to research Revolutionary Friends. He is an illustrator and animator who helped to develop, design, and storyboard numerous successful cartoons including The Neverending Story, Rupert the Bear, Franklin the Turtle, and George Shrinks, among many others. He is also the illustrator of Diary of A Fairy Godmother by Esme Raji Codell and the Julia Gillian series by Alison McGhee. He lives in Toronto, Ontario. Visit him at drazenkozjan.com.